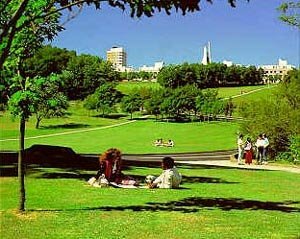 My first day at Lancaster University was not a normal first day type of day at all really. Those are usually characterized by new undergrads wandering around in a daze, looking for buildings, rooms inside buildings and professors and tutors inside rooms. My first day happened to coincide with the university's new chancellor's first day. 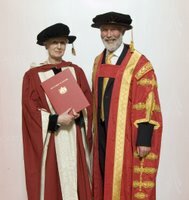 The university's new chancellor was Princess Alexandra, after whom the square in the middle of the campus was named. As I wandered up and down The Spine, the walkway that connects the north and south sides of the Bailrigg campus, I was aware of the presence of uniformed policemen. They were almost everywhere; loitering in doorways, being vigilant on rooftops, talking to each other on walkie-talkies, everywhere. "Security," I said to myself, "top security." They were taking no chances. 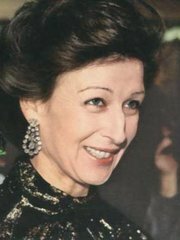 Princess Alexandra was an active member of the Royal Family, her name would be high on a lot of lists, and some of those lists belonged to people who didn't necessarily adore and love the Royals. Returning my thought patterns to the matter in hand, I walked down The Spine to the southernmost end, to Gillow House, named after a local benefactor. The tutor I had been assigned to had an office there. I reached the main door only to find it locked. Undeterred, I wandered around the left hand side of the building, stepping gingerly and quietly across flower beds to avoid the long walk via the paved walkways. As I rounded the corner of the building, with the sun shining across green meadows and hindering my view of what lay before me, I tripped right over a man huddled down near the ground. I felt a searing pain in my right knee, fell over, and saw the black shape of a machine gun tripod slip from the man's grip. My knee had banged into him and now he lay unconscious in the low gorse bushes that had been planted there to give the bare corner some greenery. I looked at the man, dressed in dark clothes, a balaclava over his head. He was out all right. I nudged him to make sure. He was unconscious, but would probably soon regain consciousness, I thought. I picked up the sub-machine gun and its tripod. As I lifted it up I felt a hammer blow on my shoulder. What happened next was all a mystery to me, was and still is, but I found myself in a hospital bed, surrounded by flowers and a woman in white talking softly to me. As I came round, I felt rather than saw more uniformed men, and then they parted in waves to let another woman through. Even in my sleepy state I knew I had seen the woman before somewhere. She leaned over me, smiling. "Thank you so much, Robert", she said, and left me to sleep a little longer. A short time later, I woke up with a start. I got up quickly. "After all", I said to myself, "I don't want to be late for my first day at university, do I?"